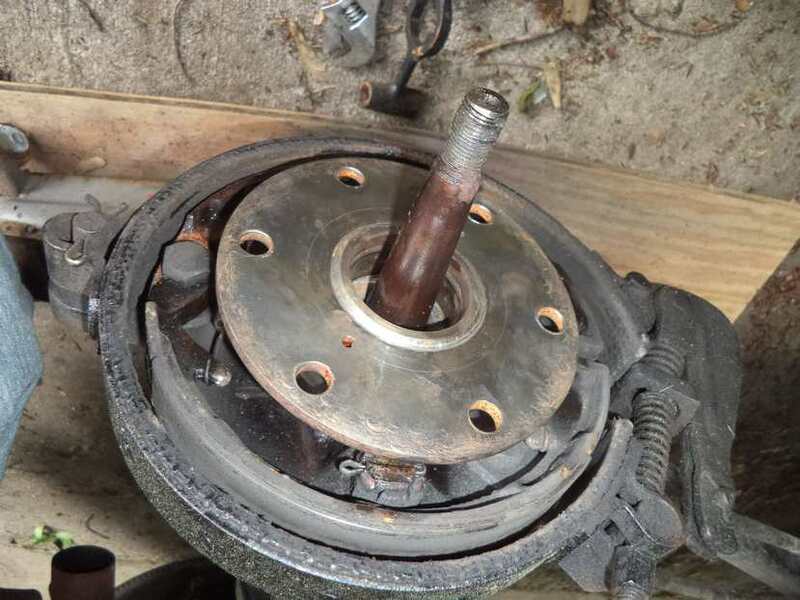 Model T Ford Forum: Question - found modern rear wheel bearing ? What to do ? Question - found modern rear wheel bearing ? What to do ? 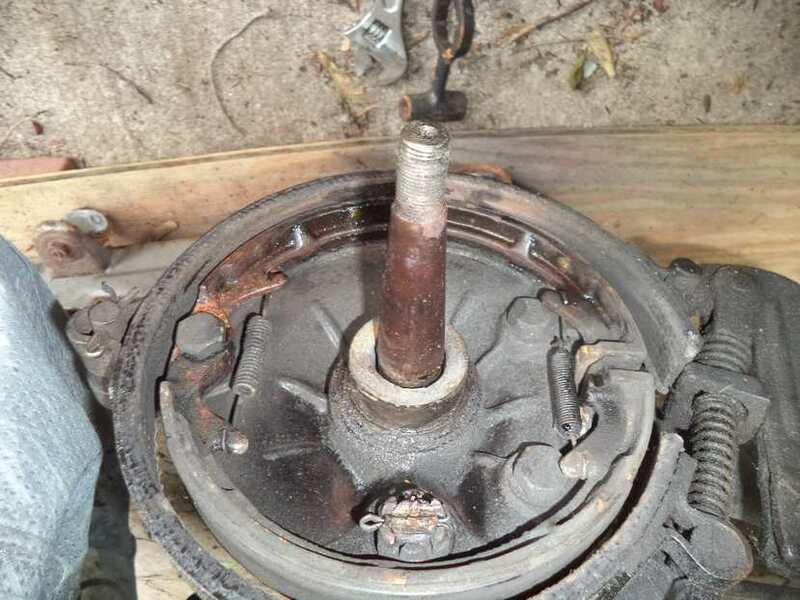 Model T Ford Forum: Forum 2014: Question - found modern rear wheel bearing ? What to do ? That is a floating hub assembly, or as some call it, a safety hub. They're a good thing. They replace the old Hyatt bearing. That's the good news. Bad news is, it's been kind of ruined by running very loose for a long time. The 6 holes are worn way bigger than they're supposed to be. You could have new holes drilled in the spaces between the existing holes and it will probably be o.k. Is there anyone who can help you with this? By your questions I can see that you're new to Model T's. I'm thinking some experienced help would be of great benefit to you. No offense intended. I've read of these plenty of times, but I think this is the first one I've seen. 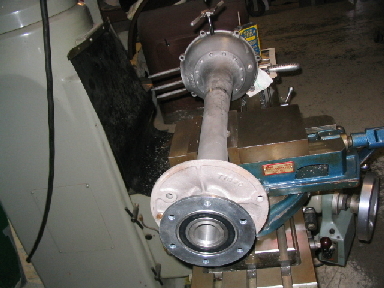 I gather the bearing bolts onto the inside of the wheel/drum and rides on the thick sleeve that's pressed into the housing tube. Is that correct? 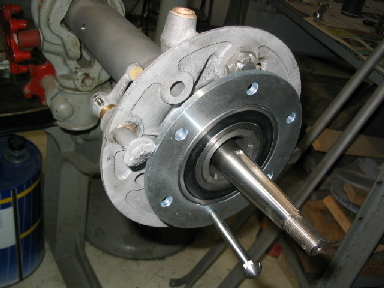 There should be bolts holding the stub shaft, or carrier shaft in the axle housing, you will have to take that out, and that part will press in to the sealed bearing if it is not shot. 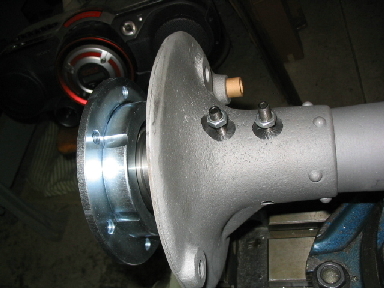 The sealed bearing should never come off the carrier shaft unless you needed to replace the bearing. Question, does anyone have the installation instructions? 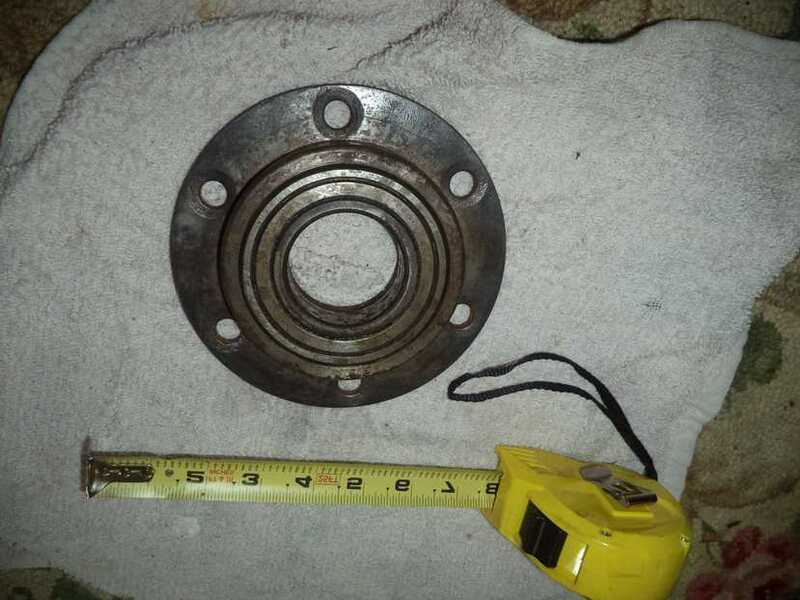 David, looking at the last picture of yours, it looks like the bolt holes were counter sunk to take flat head bolts that would not touch the backing plate. Dan McEachern has the best hubs!! I don't believe those are countersinks. I think that's where the nuts wore into the flange from many miles of running loose. If you saw David's other posting on the problems he's having you'd see how wore away everything is. Oh, Ok Jerry, Nope, I didn't see any other posting. 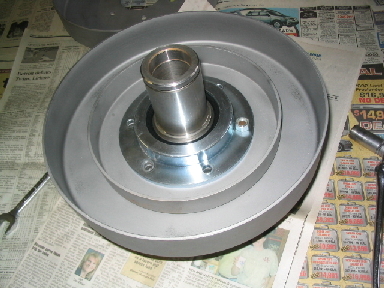 Model T hub for bearing assembly to ride on. Otherwise, the carriage bolts and nuts will work loose"
This seems to be the exact failure I experienced. Perhaps I do not need to rebuild the rear axle ? Royce is on the money, the parts are from Model T Ranch. The bolt holes are countersunk, I think this is done to help those fitting Rocky Mountain Brakes to have enough thread on the nuts yet avoid the thickness of them interfering with the components such as the spring perch nut and the brake cam which run extremely close to the nuts. 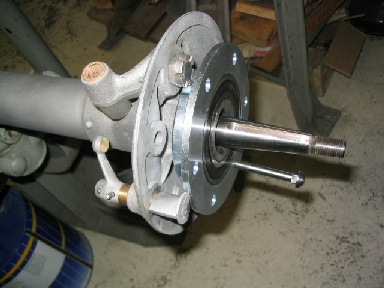 The problem with any brand of floating hub is that the axles must be perfectly straight and the housings must be straight. Otherwise the axles and the hubs are fighting each other, and something fails. In this case it was the bolts, I've seen a bearing go to pieces in one of these units that ended up with a broken axle as the first sign of trouble. 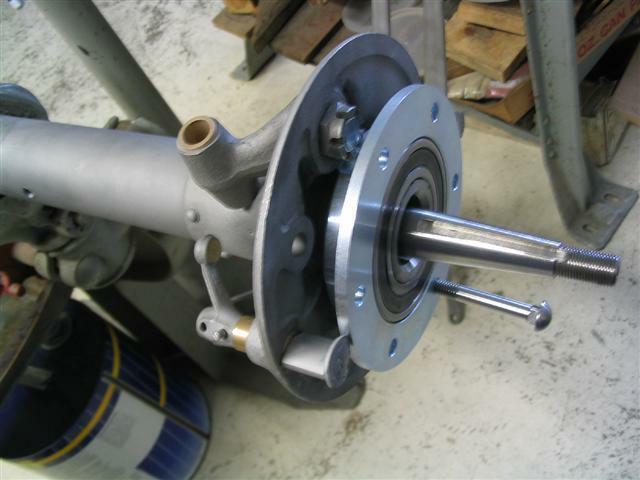 If you are going to use floating hubs the axles need to be carefully checked for straightness. You can mock up the rear end with a straight piece of bar stock to make sure the floating hubs do not place everything in a bind when assembled. 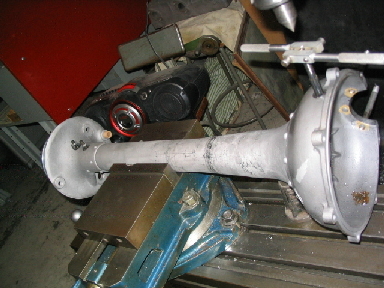 Then you will find that some work with a torch is necessary to bend the housings to get proper alignment. Original Ford roller bearings are tolerant of a lot of abuse. They work fine even with axle housings that are not quite in alignment. This is yet another example of how the original Ford parts are superior in design to an expensive aftermarket "improvement". John Stoltz (Model T Ranch) is the maker of the new type floating hub. His design also calls for an additional 6 screws that go between the carriage bolts. These are necessary for good operation. Also be sure your axles don't have ridges in them that prevent the inner bearing from sliding over the axle. This can be an issue with the Type 3 floating hubs. I'm not as committed a purist as some. I accept a few modifications. But in this case I think I'd use some uncut axle housings and go stock.